Security Bloggers Meet Up Website. 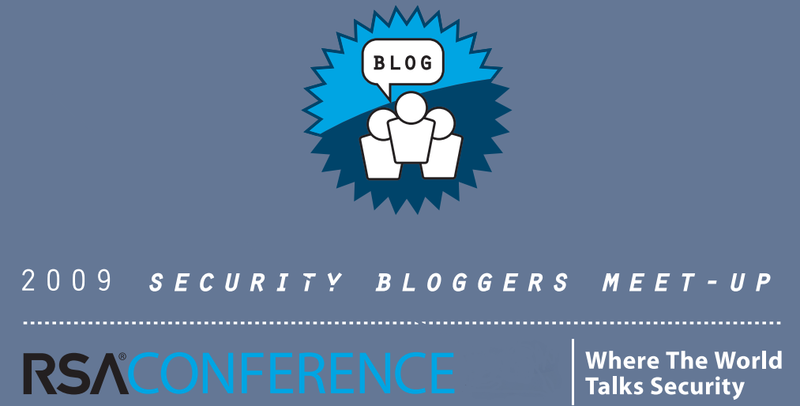 If you going to be in the Earls Court London area on the 27th April, and your a security blogger, then the Security Bloggers Meet Up is going to be the place to be. An excellent time was had by all last year around the same time as RSA, and I hope this event to be as good if not better. So if your interested, check out the site and follow as this progresses and register your interest. This entry was posted in Blogging, InfoSec and tagged 27th April, Earls Court, London, Security Bloggers Meet Up on February 10, 2010 by Dale. Tuesday night in the Fountains Abbey in London at 7:30PM the first official RSA Security Bloggers Meet Up in the UK kicked off, and it was a great success. The event was sponsored by Qualys, IronKey and ISACA, and it was thanks to them that we were able to provide an excellent buffet, an open bar, T-Shirt and USB key for every registered attendee. Over 30 people attended the event, everyone comment to me on what a success they thought the event was, the great opportunity to meet with new people and those they had only spoken to online. They also appreciated the relaxed atmosphere, and good discussions. I am really pleased how the event panned out, and we had people there until 11PM when we had to pack up and head off. I would like to thanks Kevin Riggins, Mel Johnson and I think it was Tomasz Miklas (sorry I am rubbish with new names) for helping to get everything setup before the official kick off. I also want to thank Mel again from eclat marketing and Neil Stinchcombe from Eskenzi for all their help with organising sponsorship for the event. Registered Attendes got a bag with a T-Shirt, Sticker, and 1GB USB Memory Stick. Below are a few pictures from the event taken by Xavier Mertens who blogs at Rootshell, thanks for taking these. This entry was posted in InfoSec, Security Active and tagged IronKey, ISACA, Qualys, RSA, Security Active, Security Bloggers Meet Up on October 22, 2009 by Dale. This is just a quick reminder that this coming Tuesday the 20th October 2009 at 7:30PM the first official Security Bloggers Meet Up will be happening in London. The Security Bloggers Meet Up is an ideal place to meet with fellow Security Bloggers, Podcasters and Journalists. There is still a short amount of time to RSVP to bloggermeetup [at] securityactive.co.uk if you are interested in attending. The event is kindly being sponsored by Qualys, IronKey and ISACA, and its thanks to these guys we will have all food and drink provided (within reason 🙂 ) and possibly a door prize or two. Please take some time out of your busy schedule to visit our sponsors site and find out about their latest product offerings and services. I look forward to seeing you all there, and lets hope its the first of many to come in the future. This entry was posted in InfoSec, Security Active and tagged IronKey, ISACA, Qualys, RSA, Security Active, Security Bloggers Meet Up on October 18, 2009 by Dale. Security Bloggers Meet Up 09 in London are proud to have Qualys as a confirmed sponsor. As you are all more than aware in just 3 weeks time on the 20th October 2009 at the Fountains Abbey in London the RSA Security Bloggers Meet Up will be occurring. 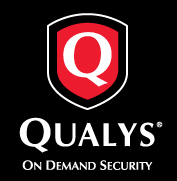 This event would not be a success without our sponsors, and we are proud to have Qualys as a confirmed sponsor. If for some reason your not familiar with Qualys, here is some information on what they are about, and what they have to offer. QualysÂ® provides the technology that organizations of all sizes need to cost-effectively ensure that their business-technology systems and applications remain highly secure and within regulatory compliance. In recent years, the demands on companies and government agencies to keep their networks and applications secure from attacker exploits that threaten the security of their proprietary informationâ€”and the information they hold about their customersâ€”have skyrocketed. Not only has the dependence on IT systems increased for nearly every business, but so have the financial motivations of criminals to breach those systems and applications. The result is an increase in the sophistication of attacks that jeopardize the confidentiality, integrity, and availability of applications, data, and critical business networks. At the same time, the demands of regulatory compliance have risen dramatically, affecting nearly every organizationâ€”from small Internet merchants to multinational corporations. Through its Software-as-a-Service (SaaS) IT security risk and compliance management solutions, Qualys makes it possible for organizations to strengthen the security of their networks and conduct automated security audits that ensure regulatory compliance and adherence to internal security policies. Qualys is the only security company that delivers these solutions through a single SaaS platform that it pioneered back in 1999â€”QualysGuardÂ®.Â All of Qualysâ€™ SaaS solutions can be deployed on demand within hours anywhere around the globe, providing customers an immediate view of their security and compliance posture. As a result, QualysGuard is the most widely deployed security on demand solution in the world, performing more that 200 million audits per year. Qualys attributes it phenomenal growth over the past 10 years to its customers, who have recognized the benefits of the SaaS model and have embraced it at the heart of their IT security and compliance efforts. â€“Â Â Â Â Â Â Â Â QualysGuard Vulnerability Managementâ€”Qualysâ€™ full lifecycle solution for discovering all devices and applications across the network, while identifying and mitigating vulnerabilities that make network attacks possible. â€“Â Â Â Â Â Â Â Â QualysGuard Policy Complianceâ€”Qualysâ€™ IT compliance solution helps organizations automate the collection of compliance data from systems and applications and tie it to corporate security policies, laws and regulations, enabling them to satisfy the requirements of internal and external auditors. â€“Â Â Â Â Â Â Â Â QualysGuard Web Application Scanning (WAS)â€”Qualysâ€™ WAS provides automated crawling and testing for custom web applications to identify and remediate cross-site scripting and SQL injection vulnerabilities. The automated nature of the service enables regular testing that produces consistent results, reduces false positives and easily scales for large numbers of web sites. â€“Â Â Â Â Â Â Â Â QualysGuard PCI Complianceâ€” Qualysâ€™ PCI compliance application dramatically streamlines the PCI compliance process. QualysGuard PCI provides small and medium-sized businesses with enterprise-level scanning and reporting, while enabling large corporations to facilitate PCI compliance on a global scale. Early skeptics of Qualysâ€™ SaaS delivery of security applications now embrace the on demand power and flexibility of SaaS and credit it with changing the economics of security while also helping to drive further consolidation among large, legacy software vendors. Cloud computing and SaaS are entering mainstream with security vendors of all sizes flocking to adopt this new disruptive model as it provides superior technical capabilities and significant economic advantages over enterprise software solutions. Philippe Courtot, CEO and Chairman of Qualys, is one of the few entrepreneurs who believed in the SaaS model and pioneered at Qualys for delivering enterprise security applications. In his keynote at RSA Europe 2009, Courtot will discuss the impact of cloud computing on the IT industry and the changes it brings to the enterprise security landscape and to the security professionals. This entry was posted in InfoSec and tagged Qualys, RSA, Security Bloggers Meet Up on September 30, 2009 by Dale. The RSA Security Bloggers Meet Up is only 3 weeks away, so if your a security blogger, reporter or media type and want to attend don’t forget to email bloggermeetup[at]securityactive.co.uk to register your attendance, there are only 50 spaces. The venue for this even is The Fountains Abbey in London just down the road from the Hilton Metropole where the conference is happening. We will be there from 7:30 PM onwards in the upstairs meeting room, on the 20th October 2009. If your looking to sponsor the event there is still a short amount of time remaining to get involved (payments need to be received by the 14th October 2009), get in touch at the above email address if your interested. See you there it should be fun. This entry was posted in InfoSec, Security Active and tagged Qualys, RSA, Security Bloggers Meet Up on September 29, 2009 by Dale.